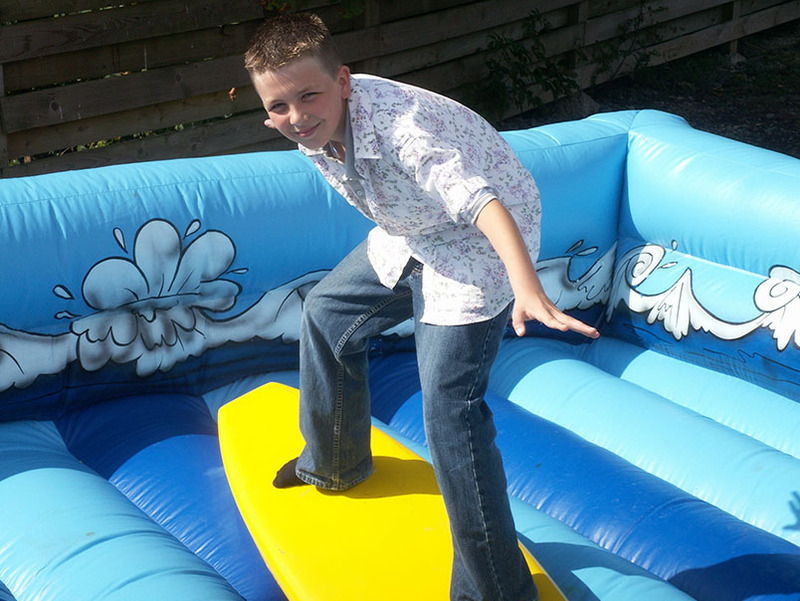 No Beach Part is complete without our fantastic surf simulator, where you can enjoy the thrills without getting wet. 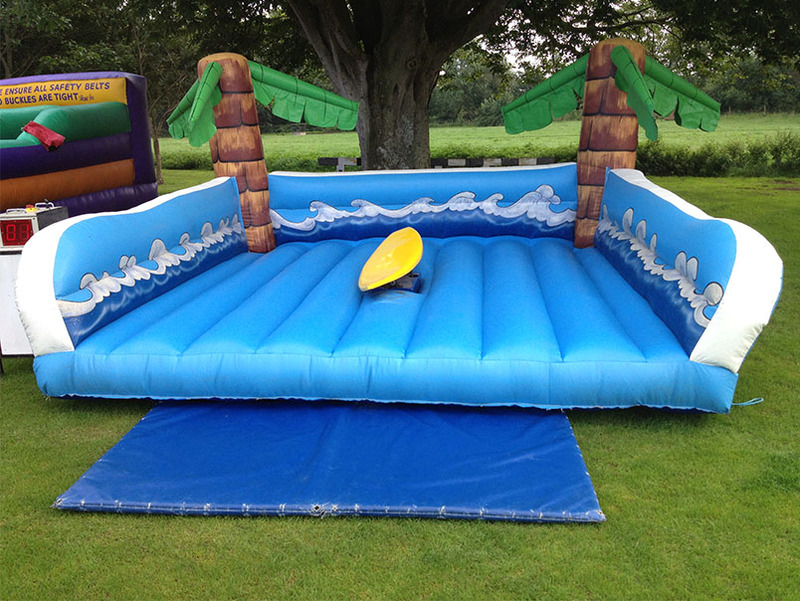 This is one of the most popular interactive hire item as people of all ages can enjoy it. It has different settings making it easy to use for both children and adults alike. 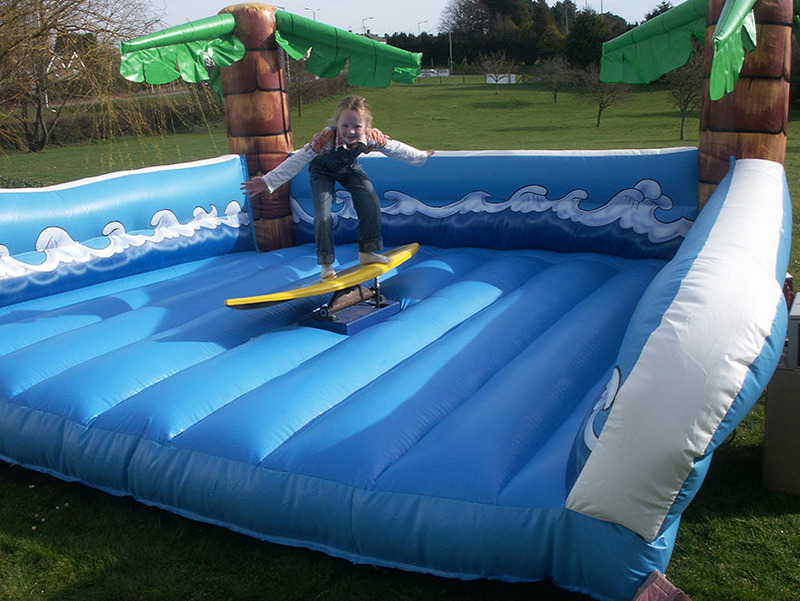 The Surf Simulator is a fantastic addition for any themed Beach parties, Corporate Fun Events and Promotional Events. 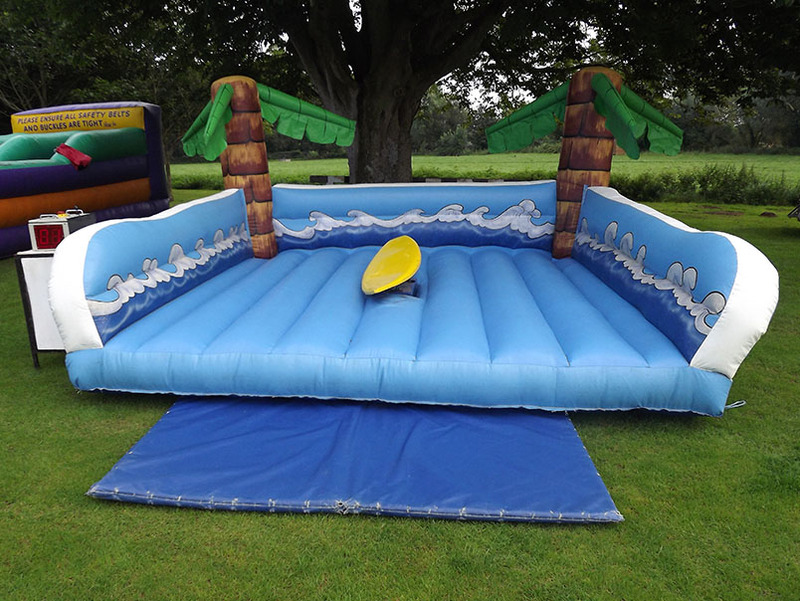 it can be used indoord and outdoors and the large inflatable ensures everyone lans safely. Plus for all those competitive surfer dudes, we time every rider. Who can stay on the longest?